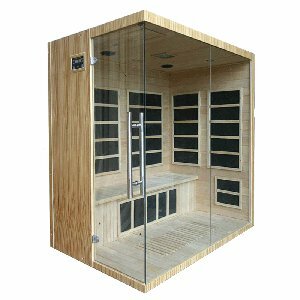 Saunas raise your body temperature, which brings with it a number of great health benefits including improved circulation. 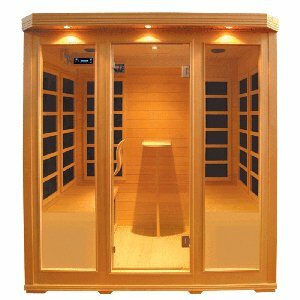 A raise in body temperature also mimics a fever, which is your body's natural defence against bacteria and viruses, thus a sauna can help to bolster your immune system and keep you feeling healthy. 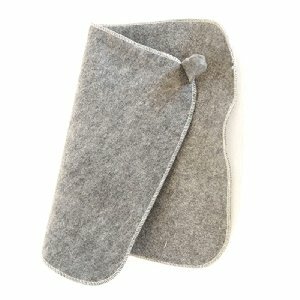 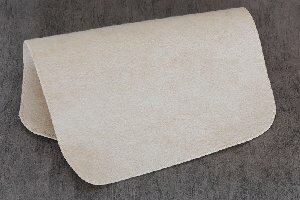 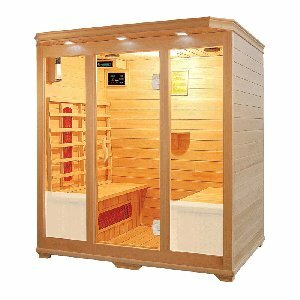 If you enjoy the benefits of regular sauna sessions but don't enjoy the inconvenience of having to use the sauna at the gym, you may benefit from a home sauna. 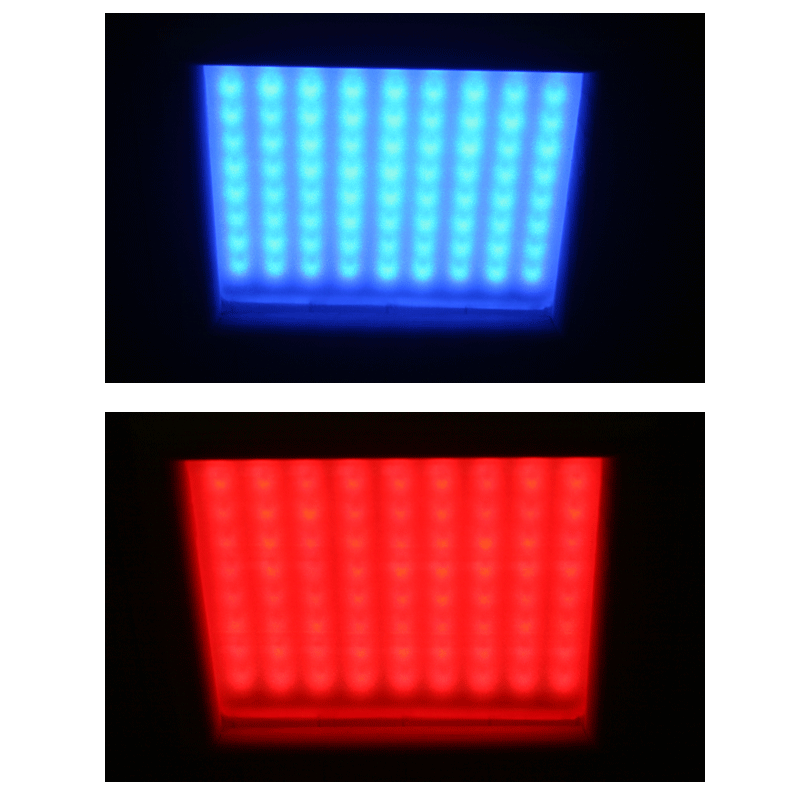 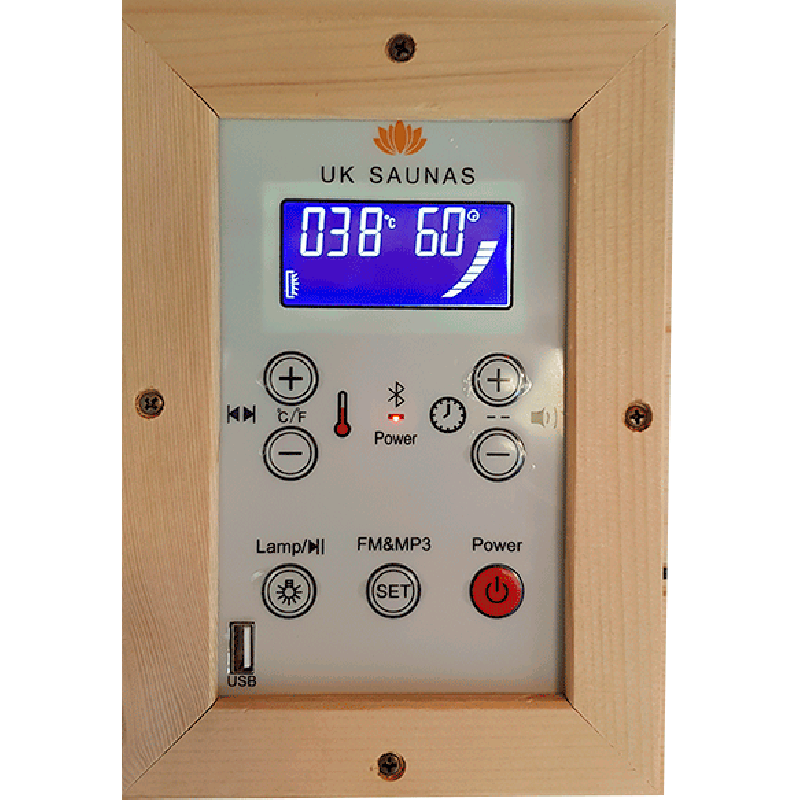 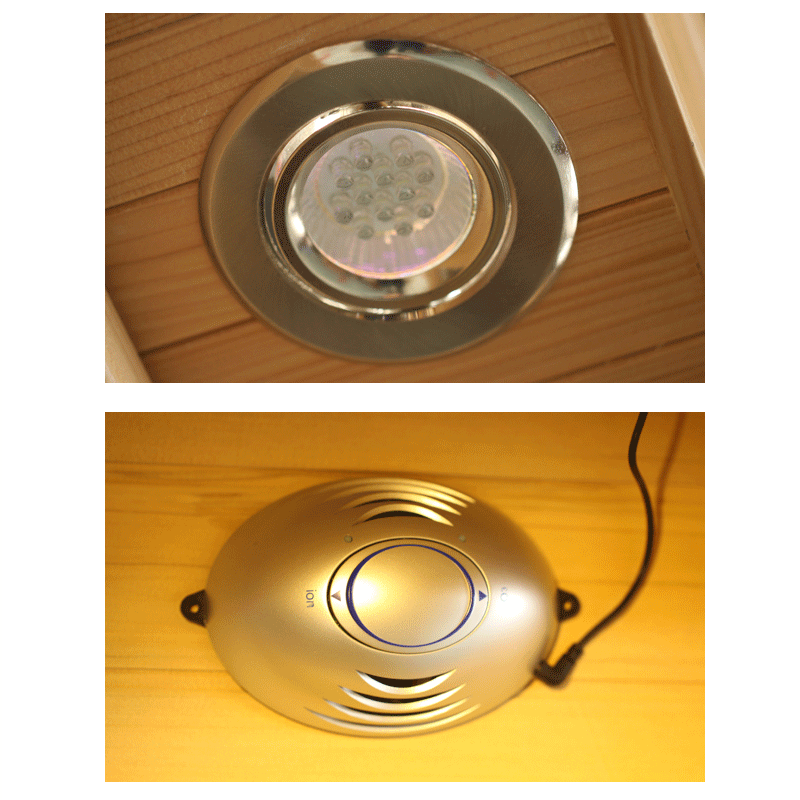 Here at UK Saunas we specialise in affordable infrared saunas for the home. 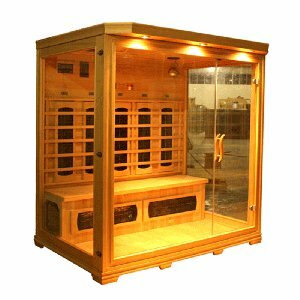 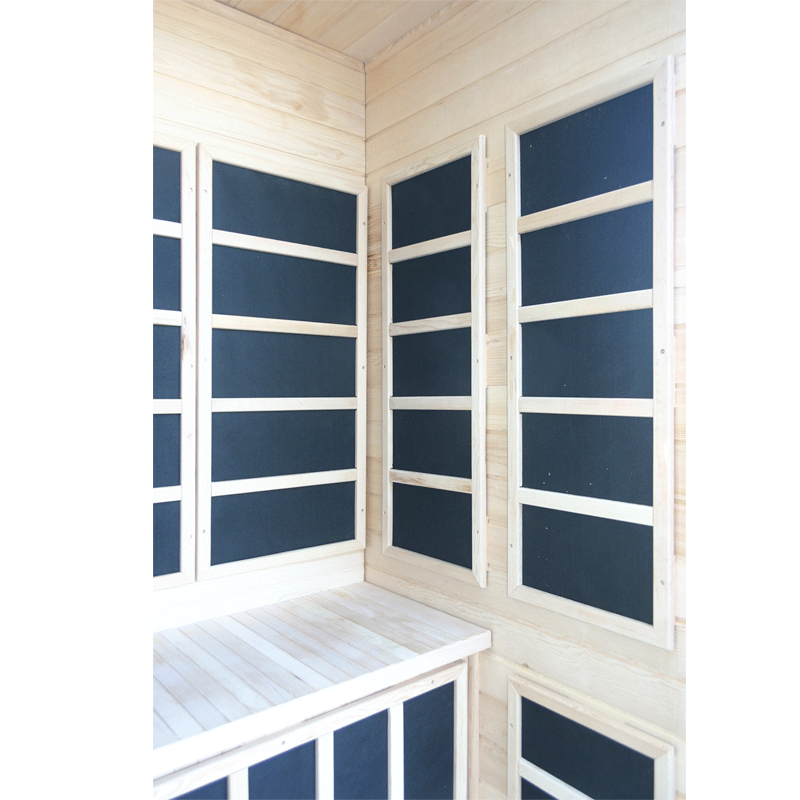 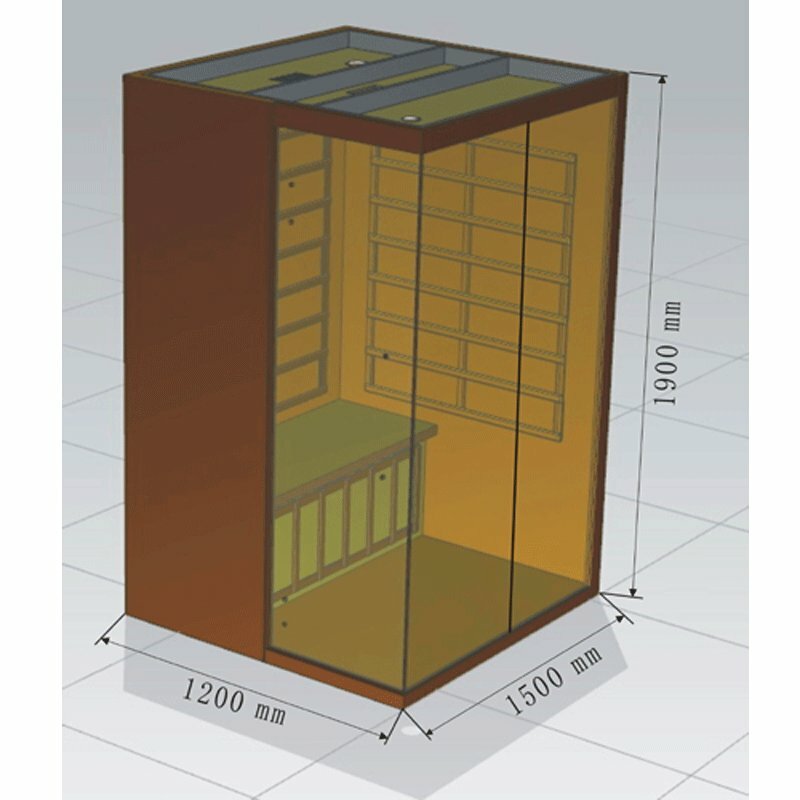 The 3 person infrared sauna you see here, model number EAI-003a, is one of our most stylish and modern infrared saunas. 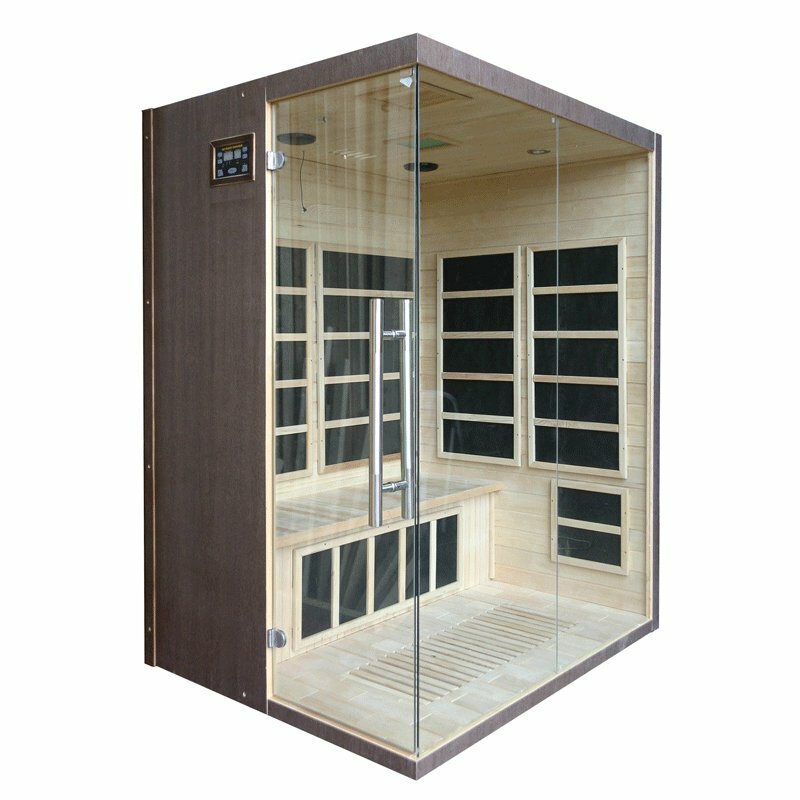 Made from high grade Canadian Hemlock wood, this sauna features a full length front window and side door made entirely of toughened glass, letting in plenty of natural light and allowing you to see out. 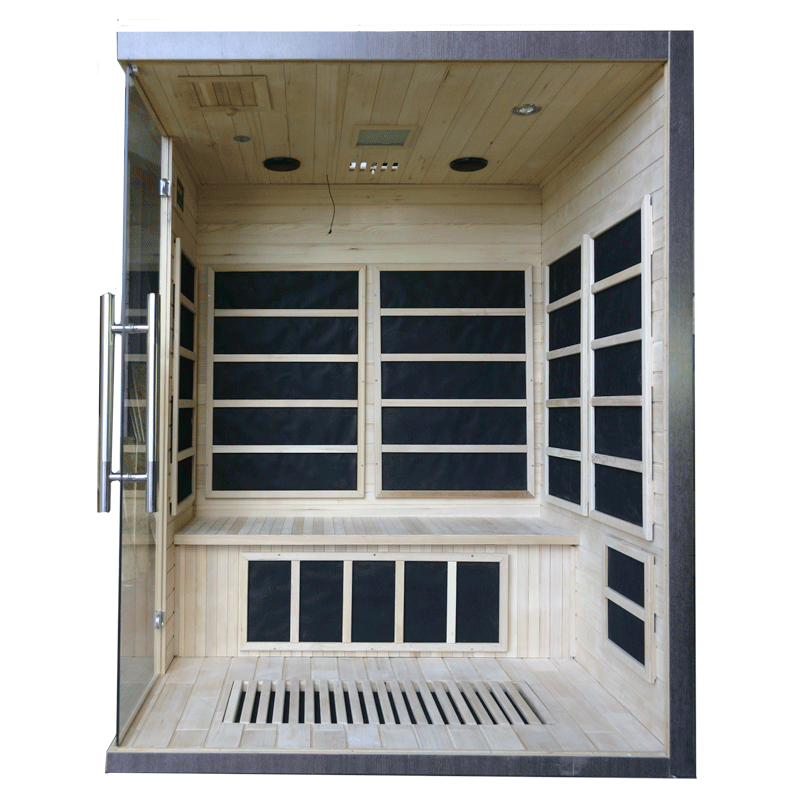 This sauna benefits from a ceramic heater, and has ample seating for three people, allowing you to share the sauna experience with friends and family, or giving you the space to lay back and enjoy the built-in radio and CD player.